This item is selling for $29.85 on eBay. 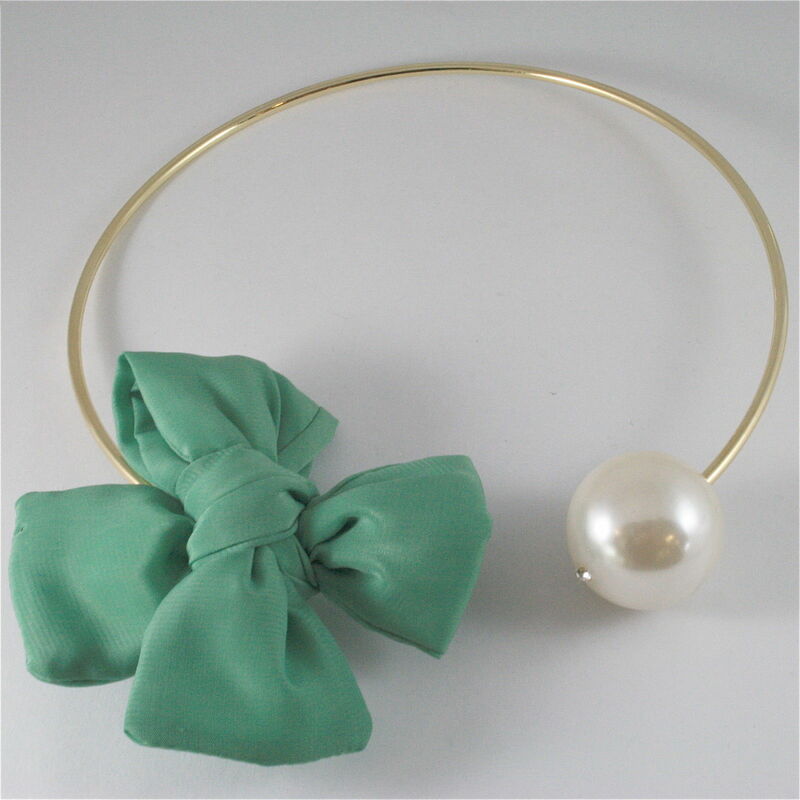 SPLENDIDA COLLANA RIGIDA IN RAME CON UNA BELLISSIMA PERLA BIANCA SINTETICA DA 28 MM IMPREZIOSITA DA UN CRISTALLO TRASPARENTE E UN FIOCCO VERDE IN TESSUTO. LA COLLANA HA UNA CIRCONFERENZA DI CIRCA 44 CM E SI ADATTA FACILMENTE A QUALSIASI COLLO PERCHE' IL RAME DI CUI E' COMPOSTA SI PUO' COMODAMENTE ALLARGARE O STRINGERE.